Tools for School, a program of the Jewish Federation of Southern New Jersey, that ensures more kids begin the school year with the proper tools they need to succeed, held their packing event where they packed 1,200 backpacks full of school supplies in Northfield, New Jersey on Aug. 19. Just fewer than 100 people were in attendance. The event began with a speech from co-Founder Lilly Checkoff and Teen Board President Andrew Rowan. Then the group began backing backpacks. Volunteers started on one end of the warehouse with an empty backpack and walked to the other end, stopping at each station to get school supplies along the way. 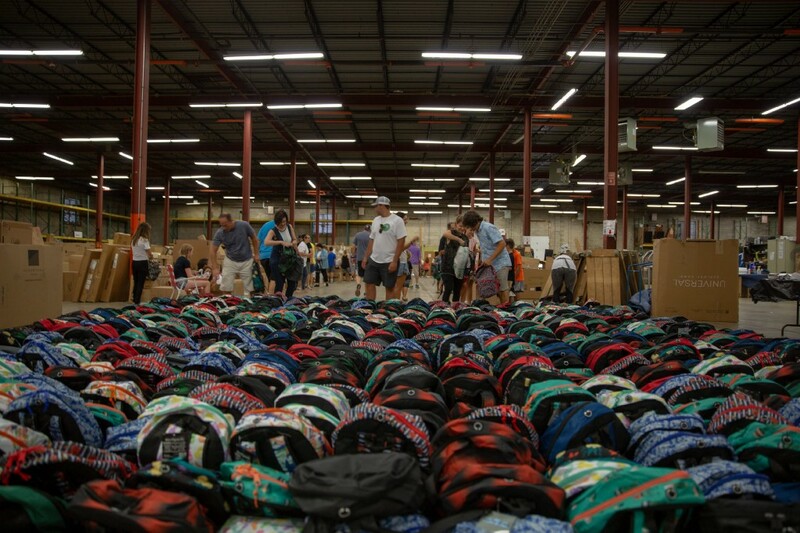 “Tools for School was so excited to see so many members of our community come out and pack 1,200 backpacks today,” said Checkoff. Community members formed an assembly line to fill pencils, pens, calculators, colored pencils, erasers, scissors, highlighters, glue sticks, sharpeners, folders, notebooks, index cards, and more inside each backpack. All year, a teen board of 20 middle and high school students have organized fundraising efforts. Thanks to social media marketing, emails, dining events, and corporate sponsors, Tools for School has raised over $14,000 during the second half of the 2017–2018 school year. Tools for School is looking forward to another great year of fundraising.